The Notre Dame marching band trumpeters play the Alma Mater after the Shamrock Series Mass at St. Patrick’s Cathedral Nov. 17. Mark Witucki, business manager of the Notre Dame Alumni Association, pulls a cart with Thanksgiving meal boxes at the Sheraton New York in Manhattan Nov. 16. Notre Dame alumni and friends packed the Thanksgiving meal boxes as part of the association’s service project during a visit to New York. The Notre Dame Alumni Association served its mission and the people of the Bronx during a visit to New York City for a Shamrock Series football game between Notre Dame and Syracuse. About 100 alumni and friends participated in the association’s service project at the Sheraton New York in Manhattan Nov. 16 by packing more than 400 Thanksgiving meal boxes for families and wrapping more than 100 gifts for children for Part of the Solution (POTS), a multiservice agency that serves the poor in the Bronx. “The Shamrock Series is a chance to bring Notre Dame out to a different place and service is always such an important part of what we do at the university,” Dan Allen, spirituality program director for the alumni association, told CNY. Each meal box was packed with potatoes, sweet potatoes, onions, apples, corn, green beans, cranberries and a voucher for a turkey. 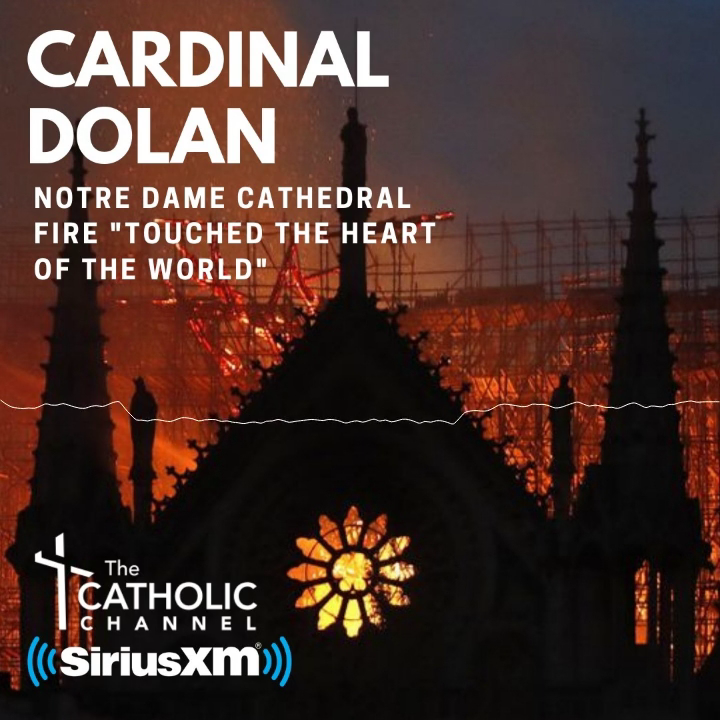 Dolly Duffy, executive director of the Notre Dame Alumni Association, said the response is always overwhelming when a call for volunteers is made. “It’s really a part of our culture that when we go in somewhere, such as this or a bowl game, to try to leave the community better than we found it,” she said. Alicia Guevara, executive director of POTS, said she would remember this day when Santa Claus distributes the wrapped gifts to children in the Bronx. “It’s incredibly special because not only are meals being distributed but over 100 children will now have toys at Christmas because of the work that is happening here,” Ms. Guevara said. “For us at POTS, what’s clear is we can’t do this work alone. We do it in partnership with our volunteers. The service project for POTS, one of the agencies in the archdiocesan Catholic Charities network, was one of several alumni events that culminated with Notre Dame’s 36-3 victory over Syracuse Nov. 17. Two days earlier, alumni attended a prayer service at St. Peter’s Church in lower Manhattan, where Father Edward Sorin, C.S.C, the founder and first president of Notre Dame, celebrated his first Mass when he arrived in the United States. Following the prayer service, the alumni braved the snow to place roses at the 9/11 Memorial for Notre Dame alumni and friends of Notre Dame graduates. The service project was followed by a rally with the marching band and cheerleaders in Manhattan’s Bryant Park. On game day, a 9:30 a.m. Mass was celebrated at St. Patrick’s Cathedral. Joe Delaney, a graduate of Seton Hall University, is the first Notre Dame Alumni Association board member who is not a Notre Dame graduate. He’s the director of the Bread of Life food drive each spring on Staten Island, a program that has steadily grown since its first year in 1991 to collect and distribute 70,000 food items. Since 2014, Bread of Life has partnered with former Notre Dame football coach Lou Holtz and his Lou’s Lads Food Drives to collect and distribute food in more than 200 cities across the United States. “When you talk about what we did (the prayer service and 9/11 Memorial) and what we’ve got going here today, it’s the essence of what Notre Dame is all about—service to the people of New York and around America. I’m proud to be a part of it,” said Delaney, a parishioner of St. Joseph-St. Thomas-St. John Neumann on Staten Island. Kelly McKenna McRaven, president of the Notre Dame Club of New York, said more than a dozen members from the New York club, which includes the Bronx, Brooklyn, Manhattan, Queens, Westchester County and Rockland County, participated in the service project. Caroline Gulotta, the mother of two Notre Dame graduates, is a member of the Notre Dame Club of New York. She said the service project is a reminder that some people do not have enough food to eat. It’s also a good way to give back to a university that has given her family so much, she said.